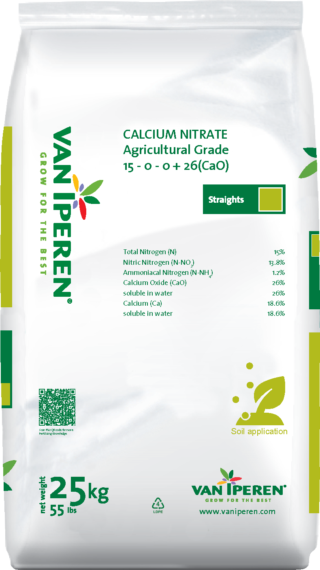 Van Iperen Calcium Nitrate Agricultural Grade is a granulated, hard and homogenuous Calcium fertilizer. Our product has a limited caking sensitivity and is recommended as of early spring until fruit setting. The high level of Calcium in our formula improves the strength of cell walls. 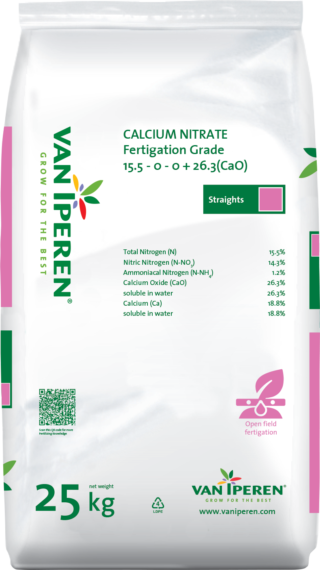 The presence of Nitrogen has a positive effect on the uptake of Calcium in the plant.